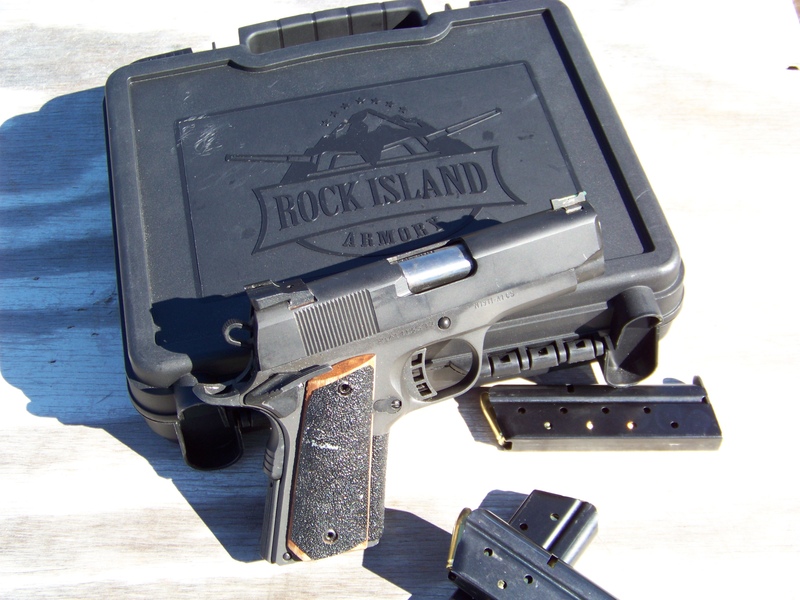 Rock Island Armory Compact Tactical 1911 | Firearms, Edged Weapons, Fighting Fitness and More! In recent Facebook posts I have promised a review of the Rock Island Armory line of guns that I have been shooting lately. This is the first post on that subject. First of all, full disclosure, I am a sponsored shooter for Armscor USA (the parent company of Rock Island Armory). That said, my contract specifically allows me to shoot the Rock Island line of guns while competing if I CHOOSE, and I am not obligated in any way to shoot them, or even make positive comments about them. Therefore, the comments I post will be (as you would expect from me), my honest comments. A few more things about Rock Island guns. First of all, I have spent a good amount of time speaking with Martin Tuason, the CEO, about his vision and the future of the company. He is aggressive, dedicated to quality, and plans to take the gun and ammunition line to the next level. Tuason readily admits his guns are not “custom” 1911’s out of the box, because that is not the market they are trying to sell to. Instead, he likens his line of 1911’s as the very best quality and options at a price point that most shooters can afford. They offer quality and options found on more expensive guns, and back it up with a lifetime (limited) warranty. One unique thing about the warranty on the guns (I got this from several sources) is that it is truly a solid warranty that covers the life of the gun, and I have heard several occasions of a gun being replaced that went through more than one generation of owners, no questions asked! 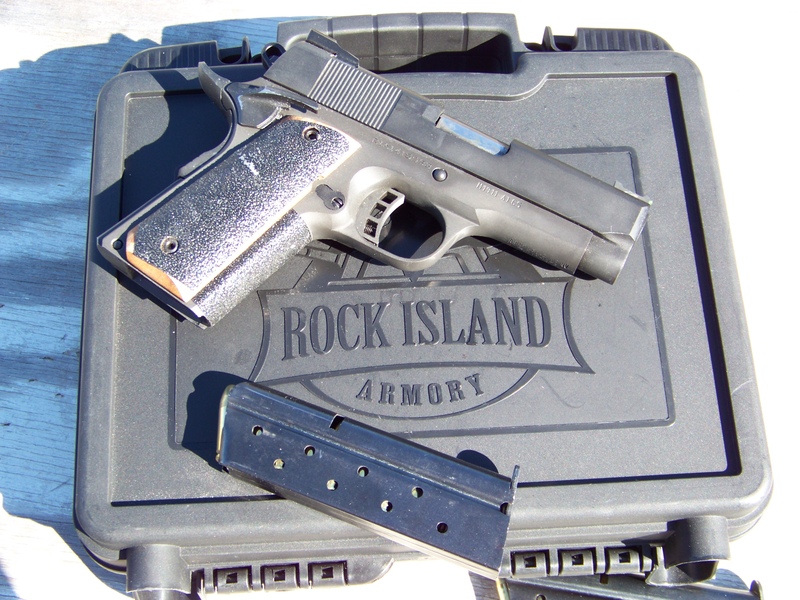 The Rock Island Armory warranty is solid! Ok, on to the gun. 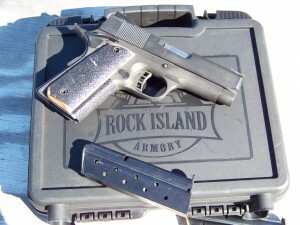 This review will cover the Rock Island Armory Compact Tactical 1911. First of all, my first exposure to this particular 1911 was during a video shoot for Armscor in South Dakota. I had been shipped one gun to my home, and picked up another while filming. One gun suffered slide lock before the magazines were empty (due to a faulty slide stop lever), and was sent back a the company’s request. The second gun was shot extensively for days while filming. I would guess I personally shot around 1000 rounds through the gun without any issues at all. The other gun, upon being returned to me with a new slide stop lever is the one I am currently training with and shooting. That gun has now exceeded 1200 rounds with no cleaning, and one oiling (when I took it out of the box). For those of you that have read my book Your Defensive Handgun Training Program, you know that when reviewing a firearm I use my R.E.A.P. (Reliability, Ergonomics, Accuracy, Power) test. So without further delay, let’s get on with it! Reliability: (9) Aside from the faulty slide stop lever, the two different guns I have shot have been EXTREMELY reliable. I have not experienced stock 1911’s running well out of the box in the past, especially before they are somewhat broken in. In my testing, gun 1 ran more than 1000 rounds without any problems at all, and so far gun 2 is over 1200 rounds and is still running flawlessly. I will continue to run gun 2 without cleaning it, or even oiling it to see when it will fail and will report back on it. My initial tests are so promising that I would personally carry these guns for self-defense. Ergonomics: (8) It’s hard to fault a 1911 for ergonomics. This particular model is a compact 1911 and both samples I shot had decent triggers. The gun comes with a small thumb safety probably due to the fact it is designed as a carry gun and a larger safety might make it harder to carry. While I prefer a larger thumb safety, the one that came on both guns was still easy to operate after a few swipes on and off. The guns come with a standard magazine release which is hard to reach for those with shorter fingers, but I had no problem manipulating the ones on my guns. An extended release would be nice, but not necessary. Accuracy: (9) The accuracy of this gun surprised me. 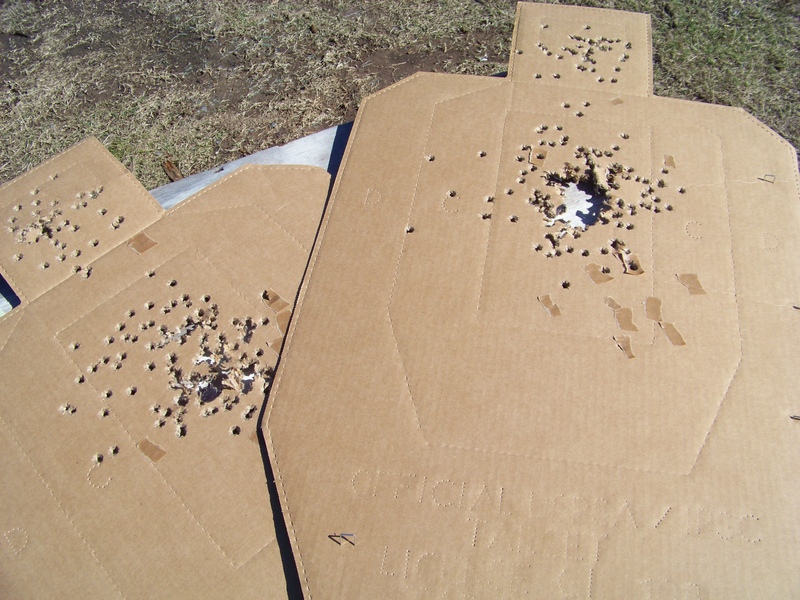 I tested it with stock Armscor 124 grain 9mm ammunition and while checking the zero on the gun at ten yards I shot an offhand group that was around 2.5 inches across. While I did not bench the gun (I will in the future), accuracy was exceptional with the short 3.5 inch barrel. 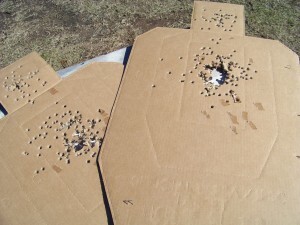 During my 300+ round practice session ranging from 7-15 yards the gun showed great accuracy and paintability. Power: (9) Power is obviously calibre specific. My personal choice for a carry gun is a 9mm these days, and with continued improvements in some testing (per an FBI source) is nearly matching the stopping power of a .45 ACP. So there you have it, my initial review of this little gun. I am very pleased with it and will continue to shoot it and try to break it or make it fail! I will post more here as well as add continued reviews of the full sized guns including the incredible .22 TCM (an amazing calibre that is unbelievably fun to shoot).